Tony Barnett was given a one month suspended sentence by Judge Richard Rundell for twice breaching an injunction banning him from entering a local common. - This Judge was intent of serving his masters and not inclined to defend the victim. - No evidence was sought from the council as to who made the claim and what evidence to show date and time of the offence. So why did the trial continue under those circumstances, Tony had already made written applications for the matters to be transferred to a higher court, he has been involved with such issues for a long time, this Judge was intent of serving his masters and not inclined to defend the victim. He was found guilty of breaching a court injunction not to enter Hartlebury Common, in North Worcestershire, and that he had encouraged others to take down fences put up by the council, all without examining the facts, no evidence was sought from the council as too who made the claim and what evidence to show date and time of the offence. 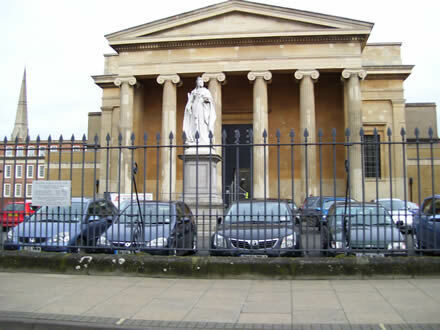 Tony had an altercation over statements coming from members of Worcester commons association which were not correct and did not visit the area again, so the claim that he had breached the injunction was false and should not have been a subject matter, or convicted of. Tony when asked if he had brought with him the file sent by the council, he replied no and that it was in the bin, his reasons were he did not have a case to answer and therefore would need to refer to it for his defence, he would not make any plea subject to his stance that he did not have a case to answer. David Warner, representing Worcestershire County Council, told the court that Barnett had sent two emails admitting the breaches to the council, this solicitor was trying to make a case for the prosecution that was not there, no evidence to support this action, he was trying to use "I go onto the common twice a week", a statement from Tony to include him entering the common after the injunction was made, as stated and if necessary could have validated that statement from others of his flying club members, Worcester is the ideal training distance for Shropshire. However, as I have already stated, the injunction was obtained from a bias judge so I will continue to enter the common regardless. 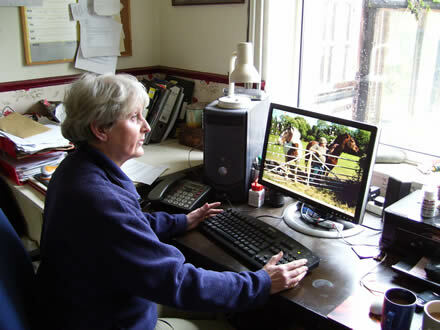 He said: "An injunction was put in place in December 2011 forbidding Mr Barnett from entering Hartlebury Common or taking down or tampering with any fences or gates at Hartlebury common, as the district court would not make an order for disclosure to show good title was held by the council, then the injunction was open to dis-abeyance, giving the public reasonable excuse to enter the common. It was very clear that the exercise was to subject Tony to a censorship condition, which he would not accept, neither would it be lawful, he has always taken time to do a complete search of claims to ownership or of any other rights on or over common land and open access land before considering what to advise. 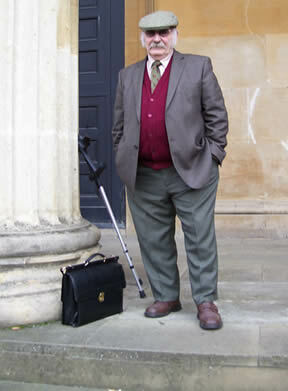 Tony represented himself, stated that he would not employ council because they are subject to court niceties and do not comply with clients directions, common land legislation is a complex law, as is proving to be the case now before this court, or may be the court is refusing to accept the legislation. Judge Rundel stepped over the mark with Tony in an under the breath comment which Tony rounded on, this is his way and always speaks his mind, rightly or wrongly he suggested that if the judge did not try to assassinate his character, he would pretend he was a judge. Rundel was trying to provoke him into misrepresentation, but he failed each time, this was by way of their misinterpretation, not the wisest approach, even I understand the parts of the legislation Tony was trying to deliver to the courts, which as he was saying is the acts, created by parliament and given Royal Assent, he went on to challenge the court to arrest David Cameron and the Queen, he was only providing certain sections of the legislation, he didn't create them. I know that some make contact with Tony by phone, some only want to know where certain acts are that provides them with rights, not all say which common or footpath, so for him to say in court on Monday that he was not aware of the common where the fence had been taken down, i would have accepted, later we knew which fence, but he would not have given any identification of the common as this could be detrimental to whoever took it down, although he was told later. Tony always suggests that first the common must be identified, like, ownership, commoners registration at council offices, or he will do it for them, the two options he always gives is rights under section 41 of the 2006 or schedule 4 paragraph 6 of the 2006 commons act. "He will advise them to go to the court and get those people in court, this is what he did for Worcester commons Association and because he is part of that group,he advised them on what they could do,if, the fence was going to be pulled down, he told them not to steal or take away the items, since Tony had done research of the common, the removal was lawful under schedule 4 paragraph 6. There was a series of application by Tony to have the matters taken to a higher court before Rundel said he would continue the hearing without him or send the matters to "another court", Tony sat down again and said right then send me to another court, Rundell changed his statement and continued with the trial, this was abuse of his office, he knew he was not capable of hearing this matter, but carried on. There was no order that the council disclose proof of rights, Tony claimed that from information he had showed that the alleged conveyance document from the ecclesiastical was forged declaration copied from the "mislaid original", which if ever existed was fraudulent. Tony also stated that the application by the council was of false representation and the application for hls funding amounted to mortgage fraud, Rundel said he was not dealing with that matter only with his breaching of the two injunctions. This judge was committing court room fraud, Tony said he was going to have in investigated. Rundel questioned Tony on a paragraph from an email where it was written that "I will not comply with bias court rulings", Tony said that it was not right that one complies with the laws of this country when others will not and he would not obey such judgements prohoibiting him from accessing common land.